The Federal Aviation Administration says its drone registration system has hit almost 300,000 registrations, one month after launch. 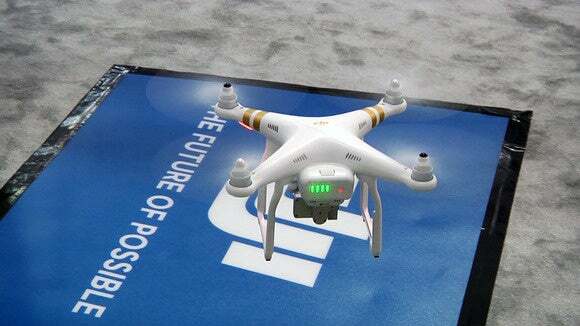 The figure points to some success for the database, which was introduced on Dec. 21 and is aimed at instilling a mindset of safety in drone pilots, but is still well behind industry estimates of the number of drones sold in 2015 -- those were forecasting sales of around 700,000 drones. So there's either still a lot of drones to be registered or those sales estimates are off. No one really knows. Whatever the actual number out there, registrations continue to rise. When last updated on Jan. 6, the FAA said it had 181,000 registrations. It costs $5 and that charge was being refunded for the first month, which ended on Thursday. The database covers the pilot, not a specific drone, and is a response to a number of incidents in which drones were flown in controlled airspace, where they can pose a danger to manned aircraft. While it carries the possibility of criminal fines of up to $250,000 and/or imprisonment for up to three years, the FAA really just wants to get drone pilots playing by the rules. And the rules are fairly simple: don't fly within five miles of an airport without permission from the tower; don't fly above 400 feet; don't fly at night; keep your drone within sight; and keep out of no-fly zones like national parks. The registration process is fairly simple and takes a few minutes to complete online. Speaking earlier this month at CES in Las Vegas, FAA Administrator Michael Huerta said the agency was looking to make it even easier, perhaps allowing registration at time of purchase by simply scanning the bar code of the drone. While all drone pilots who purchased drones after Dec. 21 are required to register before their first flight outdoors, those who owned drones prior to that date have been given more time. The deadline for those folks to register is Feb. 21.